LONDON: 3 NOVEMBER 2005 - Mercator Gold plc (AIM: MCR/MCRW) is pleased to confirm, further to the announcement on 28 October 2005, the terms of the agreement to acquire St Barbara Mines Limited’s (“SBM”) entire gold exploration and mining assets in the highly prospective Meekatharra Belt of Western Australia, subject to shareholder approval. The total purchase consideration will comprise of AU$18 million (£7.56 million) in cash and new ordinary shares plus the adoption of environmental bonding requirements of approximately AU$3 million (£1.26 million). The acquisition will consolidate Mercator’s position as the dominant player in the Murchison Gold Province and has the potential to transform the Company from explorer to producer by providing 100% ownership of the mining tenements and infrastructure required to commence any significant gold production. Land and property assets in and around Meekatharra and an option on pastoral leases covering a portion of the tenement area. The acquisition will consolidate and enlarge Mercator’s holding over the highly prospective Meekatharra Belt in the Murchison Gold Province, more than double the Company’s gold resource base and add significant additional exploration ground to the Yaloginda project area currently yielding significant exploration success for the Company. Ownership of the Bluebird mill and gold processing plant along with the enlarged resource base are integral to giving the Company the capacity to commence significant gold production during 2007 should it reach its resource base criteria. Exploration of the Meekatharra Tenements by St Barbara has outlined significant gold resources (greater than 1.5 million ounces in indicated and inferred categories) which require significant geological input and drilling to convert to mineable ounces. This represents an excellent exploration opportunity for the Company’s geology team to apply the same process of validation and drilling which has seen resources of 120,000 ounces at Bluebird and Surprise rise to 470,000 ounces of indicated and inferred resources over comparable areas. The enlarged tenement package gives Mercator the largest land holding in the Murchison Gold Province. In addition to the above tenements, the company is acquiring the rights to a number of Miscellaneous and General Purposes Licenses providing access, water, waste dump and tailings dam rights. The Bluebird gold processing plant has a capacity of 3 million tonnes per annum of oxide ore, dependent on ore hardness and leach residence time required. The Bluebird plant has a standard layout with single stage crushing, open stockpile, SAG and ball milling, emergency feed, pebble/scats reject conveyors, leach and adsorption, elution, gold recovery, reagents, tailings and services areas. The plant is in excellent condition and has the potential to produce in excess of 170,000 ounces of gold per annum at a 2g/t Au feed rate and 90% recovery. The Bluebird mill and associated infrastructure located 12 Km from Meekatharra could be re commissioned at a relatively low cost as and when Mercator commences mining operations. The plant has a flexible configuration which allows for the treatment of different ore types and throughput rates. A large production facility with no attached debt significantly lowers the total operating costs associated with the treatment of gold bearing ores and as consequence enhances any exploration success achieved by the Company. Mercator considers that the replacement cost of the plant and associated infrastructure, including a 250 person camp, would be in excess of AU$48 million (£20 million). a six month option to purchase the Annean (1686 sq km), Norie (213 sq km) and Cullculli (584 sq km) pastoral leases. 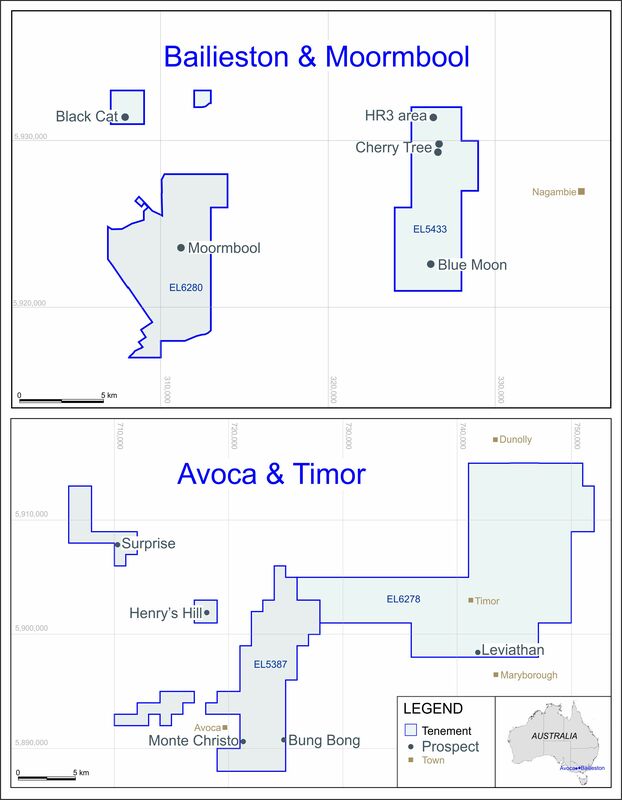 Mercator to assume approximately AU$3 million (£1.26 million) in Environmental Bonds presently held by SBM and to assume the obligations under existing production royalties over the acquired tenements (principally the 1.5% production royalty owned by Resource Capital Fund III LP over all of the SBM tenements that are the subject of this sale). Mercator completing to its sole satisfaction due diligence on the Meekatharra assets on or before 28 November 2005. Management intends to raise between £8 and £12 million in the placing, which is considered sufficient to fund the payment of the cash portion of the acquisition (£2.1 million) and increase exploration activity targeting additional quality resources, the conversion of resources into reserves as well as working capital leading to commencement of gold production at Meekatharra. The proposed transaction will result in SBM becoming a 20% shareholder in Mercator. This structure recognises SBM’s desire to maintain an interest in the prospective tenement holdings. In consideration of the proposed new capital raising and the proposed transition from explorer to producer, shareholders will also be asked to approve a consolidation of the share capital of the Company on the basis of one share for every ten held. Warrants and options will be consolidated on the same basis. Paul R. Loudon, a director of Loeb Aron & Co. has tendered his resignation as a nonexecutive director of Mercator so that he can act impartially as an adviser to the Company in relation to the acquisition and capital raising. The Company decides not to proceed with the acquisition in accordance with the terms of the agreement with SBM. Although the shares and warrants will be suspended from trading, warrant holders are still able to exercise the warrants up until the expiry date 7th November 2005 if they so desire. The Company has written to warrantholders informing them of this ability and copies of that letter, together with this announcement, are available, free of charge, for a period of one month from the offices of the Company at Peek House, 3rd Floor, 20 Eastcheap, London EC3M 1EB.